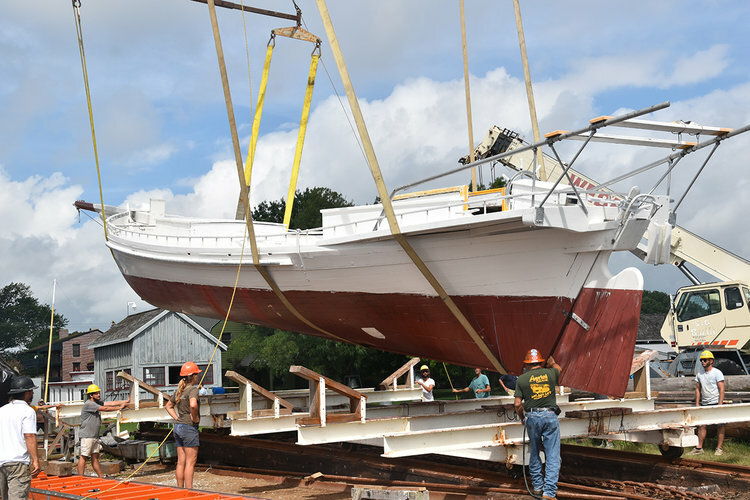 On Thursday, Aug. 2, 1889 bugeye Edna Lockwood was craned on to CBMM's marine railway, from which she will be relaunched in October. 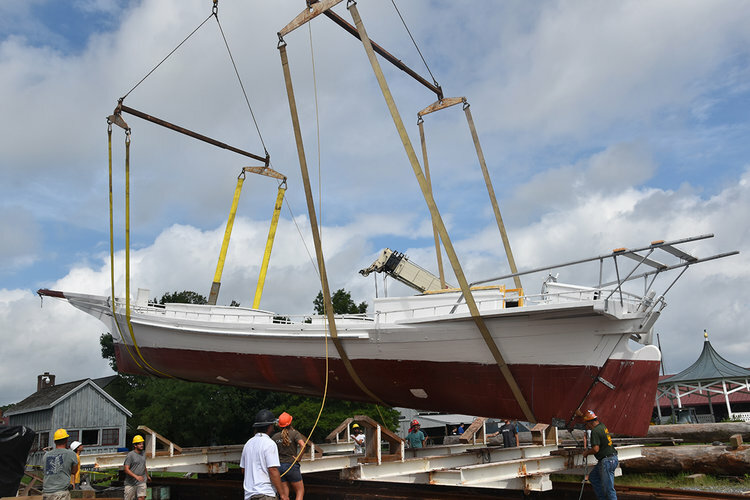 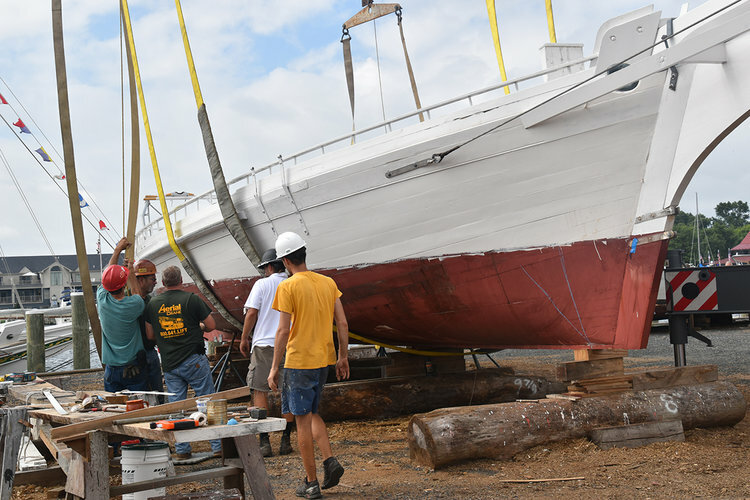 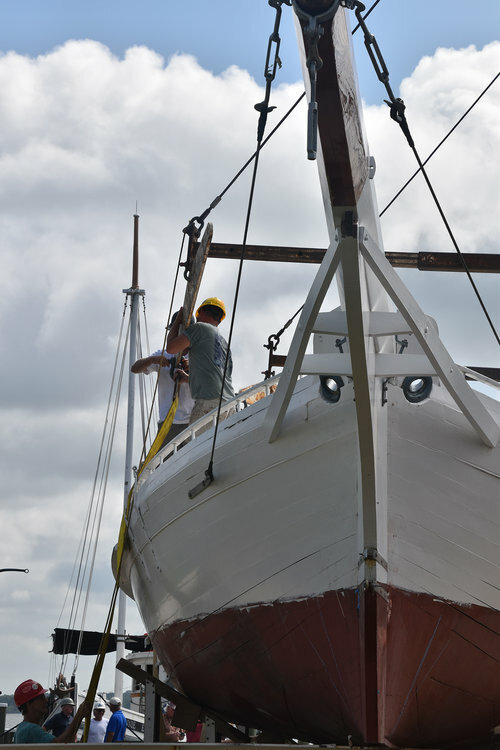 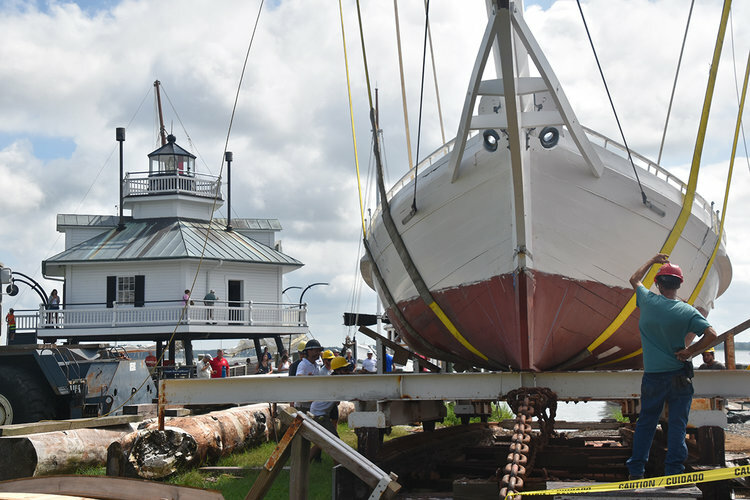 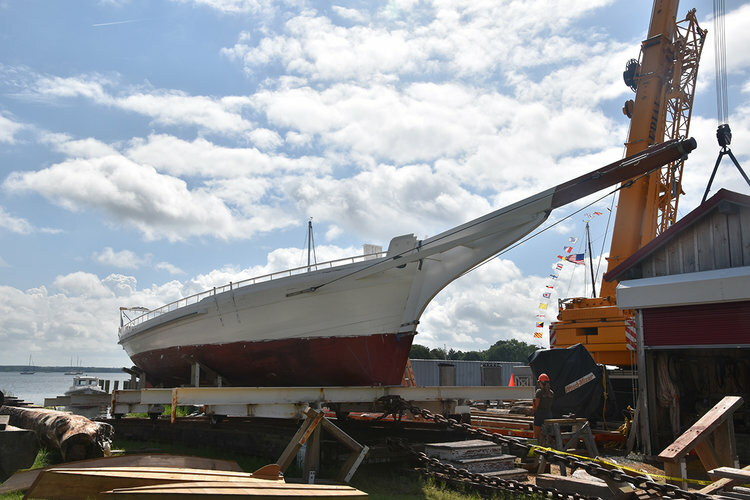 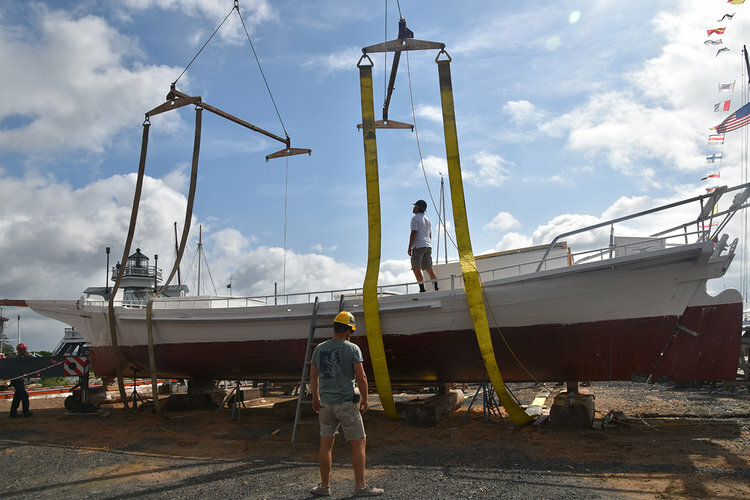 Shipwrights and apprentices will finish her restoration with the National Historic Landmark up on the railway, and she will go back into the Miles River at CBMM's OysterFest on Saturday, Oct. 27, 2018. 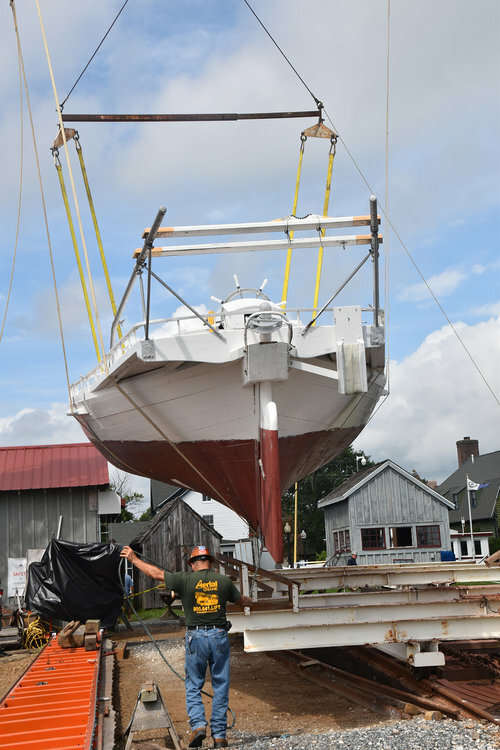 For tickets and details, visit cbmm.org/oysterfest.